Handful of photos in the shoebox. There were so many! Took this with my iPhone, a handy little gadget for fast documentation. Yesterday, Andrew and I took a walk around the city. First to Cross Street in Federal Hill and then to Fells Point. It was nice to get out and we haven’t done that in ages. While in Fells we came across a bunch of antique shops (there’s a nice handful down there). They carried the usual suspects; radios, clothes, magazines, jewelry, etc. 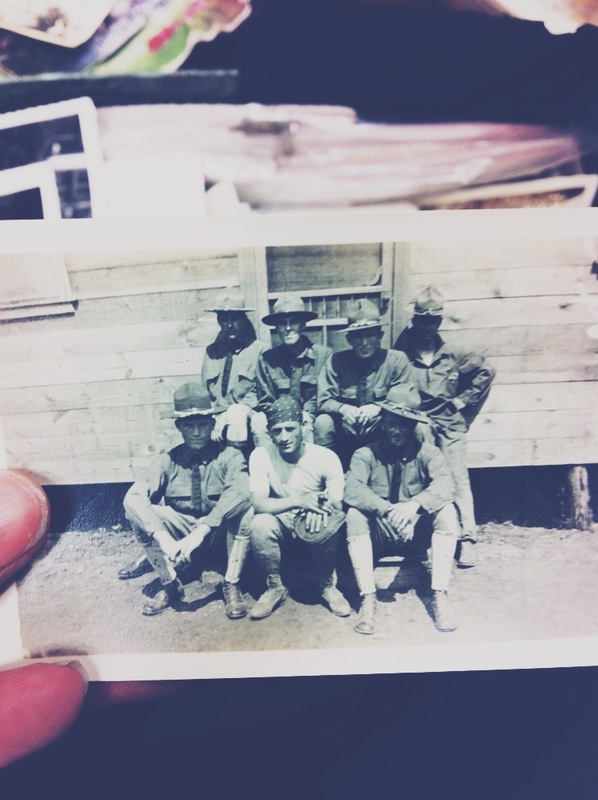 What really grabbed my attention was a box of old photographs. Boxes and boxes of them. Obviously these photographs were taken with film cameras. Almost no one actually prints out the photos they take on a daily basis with digital cameras aside from family photos that go in frames. But now those digital frames are out, which only validates my statement even further. The digital photos end up on the internet, on Facebook, on Instagram, never once making it to a physical form. 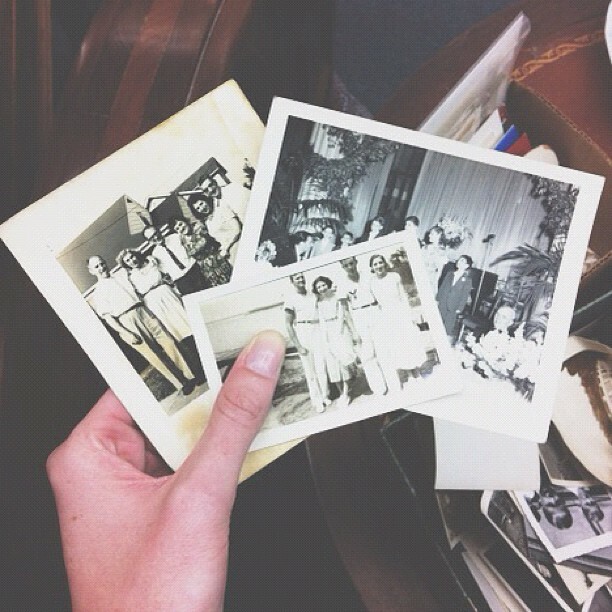 How did all of these photos end up in an antique shop of all places? How does something so personal get placed in a shoebox to sit in the dust of some shop in the middle of Baltimore City? So many nameless faces. It was crazy to sit and go through all of them. Many of them had Baltimore streets and landmarks I recognized, just sixty some years ago. Mt Vernon possibly. Definitely looks like that landmark church that is always looming over everyone. people for .25 cents a photo. I wondered how the photos got there. Maybe from the estates of deceased people? My point is, is that film lasts SO LONG. Most of these photos were crinkled and maybe a little yellow, but for the most part they were in really great condition. Crazy to think how little we use film when it’s proven to last so long. Does convenience really trump longevity? It seems that way. I mean, even when I get my film processed I almost never get prints done with them. I often find myself just saying “Scan and Process Please”. I never really thought about it until the other day. Maybe it IS worth it to just get the prints, or make them just to have them. My generation and all subsequent ones won’t have the luxury of having shoe boxes of photos or albums full of photos. My baby album, circa 1990, that my mom made is HUGE and there are so many photos in it. But when I see the album that the twins have (my siblings who will be 9) they are so much smaller and this is because most of their baby photos are on CD’s or stored in a computer. Anyways, I think I am going to start accumulating prints more. 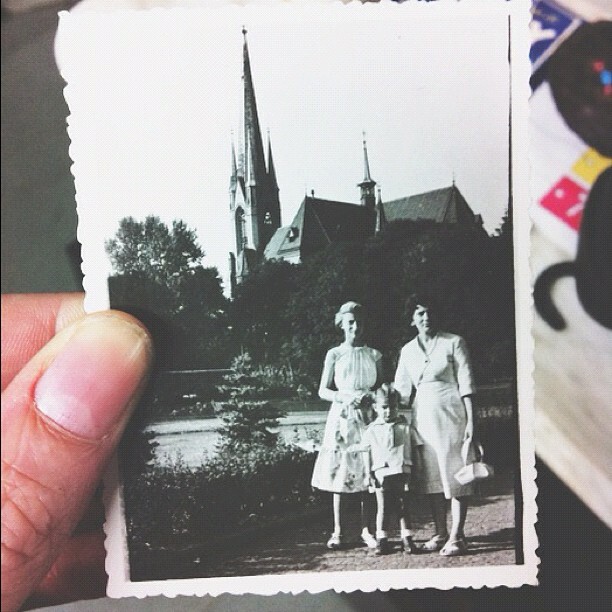 I want to be that old lady who has a ridiculous dusty amount of old photographs in shoe boxes and frames and more boxes. Maybe I’ll do a post on how to make your own prints, I hear enlargers are selling for super cheap on Craigslist these days. Who are you?! I kept wondering the whole time if I was passing through people who impacted my family or my own life in small ways, since my family and I have a long Baltimore history. Strange! ← Pushing Film: What does it mean? you should try and find out who the people are! That would be awesome! Thanks Kee! And yes, I would love that. I think it would also be just as awesome to find an old camera with film inside of it. I read a news story once about how some neighborhood kid found a camera at a yard sale with film still in it and got it developed. He found photos of his deceased uncle on the film roll and it turned out his uncle was friends with the people selling the camera. They didn’t know there was film still inside. How crazy. I have our family photos dating back to 1929. Looking at them is how I discovered that my mom and the two eldest boys lived at first on Jackson Street. There were several pictures of them in Riverside Park. I always had thought they lived in Locust Point. after Jackson they moved to Reynolds and after that purchased my gram purchased her parents home on Hull St.
Great story! Photos tell so much about our lives and history. It kills me that the film photograph has lost it’s place in my generation. So sad. Hopefully the digital age hasn’t totally killed it. I have noticed myself how few actual hard photographs I have now. I mean I have a box full of them in the basement of years gone by but recent stuff was taken on a digital then printed from the memory card. The ones we framed we kept but the others on the card were erased. Gone forever. I love looking through my basement box at all those memories. I think I am going to begin printing all of my digital shots now and throwing them in the box. This was a great reminder of how precious such things are. I have boxes of prints of my kids. Started out shooting my 1st kid with film and kept it up through the 3rd. Sure, I transitioned to digital and mostly use that now but I’ve always had prints done – even if it was nothing more than a 4×6. Memory cards & CD’s & DVD’s & thumb drives come and go – but there’s something about a genuine photo ALBUM that you just can’t top. Mine get a kick of going through them and asking questions about where a picture was taken or how old they were. I myself have many of my Mom’s old photo’s. They bring back memories of my grandparents, aunts, uncles, cousins, etc. who have departed this life long ago….it’s a special feeling when I look at the photo’s…takes me back to a very happy time. I also have video’s of my children when they were young. They now range from 45 to 55 of age…. more great memories gone by… Your articles make me realize how wealthy I am to have these prints, and video’s in my possession….hopefully they will be passed down when I am gone. Thank you Kaitlin! Kudos on your recent realization – the preciousness of real physical prints is something I have long argued for and it’s nice to see others catching on to the idea. Of you ever want help with the ‘make it yourself post’ let me know – I’ve been printing my own BW since the 80s. Check out http://thephotopalace.blogspot.com – it’s an Analog ambassador vehicle I built. This was really interesting. 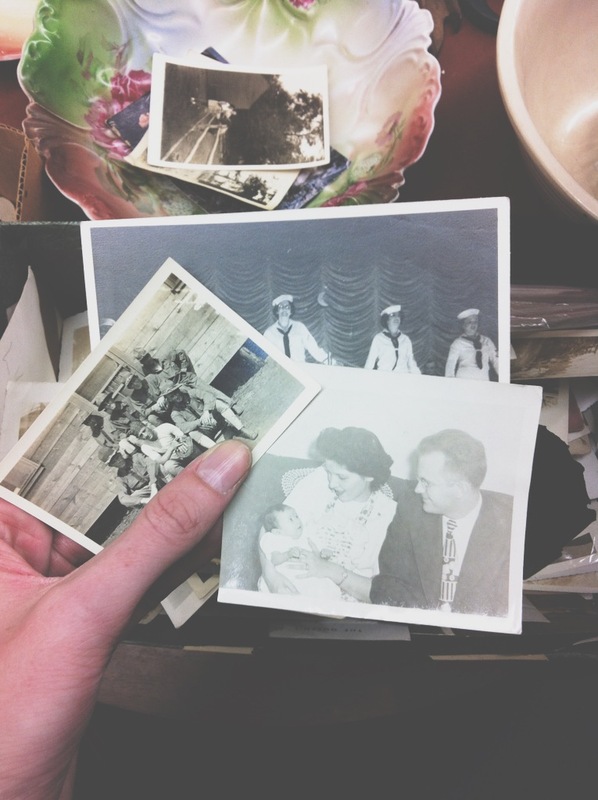 It’s crazy to think that one day your treasured memories could end up in an antique shop. I love old photos and getting a sense of what the world used to look like before I was in it. Thanks, Kelly! Glad you enjoyed the read! I figured it would be really relatable to a lot of people, since we all have come across those old photos. What is crazy to me is that my generation (I’m 22) may just be one of the last ones to have that old shoebox filled with photos experiences. My parents as far as I know don’t ever get prints anymore since everything is saved via the internet or computer. Something I feel a lot of people won’t miss until they realize it’s not there or they don’t have it, if they even ever realize it! I googled this because I also found old photos in Baltimore. I didn’t buy them but I did buy an autograph book with the hopes that I might be able to find her family. As for how memorabilia ends up in shops… I think there’s many answers. Things are stolen, the wrong boxes end up being given away, and not everyone is sentimental. Personally, I know we’re missing photos and letters in my family that many of us would like back. This is true. It’d be great to come across photos of my own family somewhere, what a story that would make. There was also a good amount of high school rings that ended up in the shop which struck me just as odd.